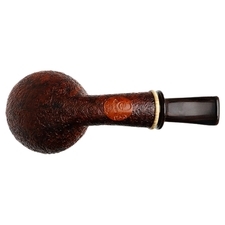 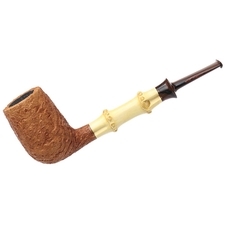 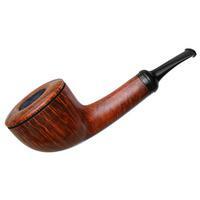 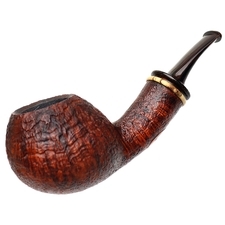 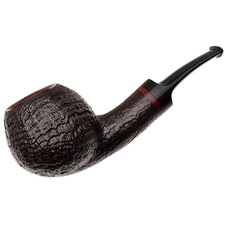 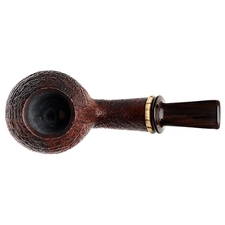 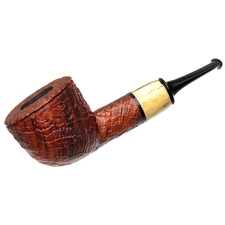 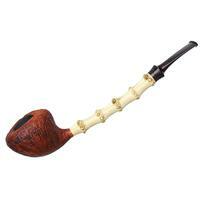 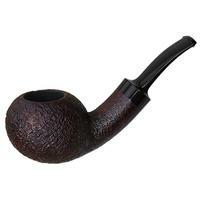 Gabriele dal Fiume is an Italian pipemaker, though his sensibilities seem to fuse certain aspects of both the Italian and Danish schools. 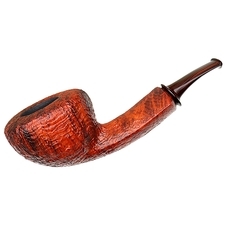 The carver has a penchant for graceful feats of curve, applied to often bowl-centric forms imbued with low-set waistlines, and this bent Apple makes for a rather fitting example of his style. 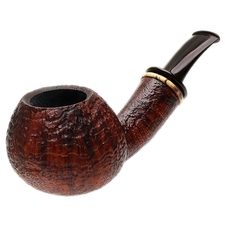 It's a bit more compact than it seems to proportionally indicate from the photographs, though the chamber offers plenty of room within, framed as it is by a subtly chamfered rim. 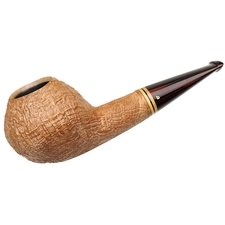 Finished in a striking contrast over top a beautiful, fairly low-profile sandblast, rippling rings of grain is the order of the day, complemented by a ring accent of lovely masur birch. 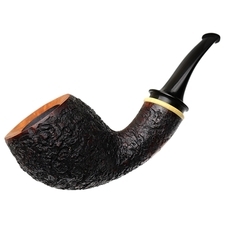 Topped with a cumberland saddle bit, I can readily imagine this smoker won't take too long to make it into someone's collection.